Are you planning to start own business? Have you finalised everything – the business sector, model and investment? Here we are providing information about latest trends and opportunities in Indian markets. Talking about business sector, food franchise segment beat other sectors in terms of revenue generation and market size. The whole concept of food franchise is based on consumption patter, consumer choice and preference. Traditionally, India is known for its age old culture and diverse food recipes. Food business is always beneficial if know your customer demand and also constantly meet them for improvement purpose in services and food taste. 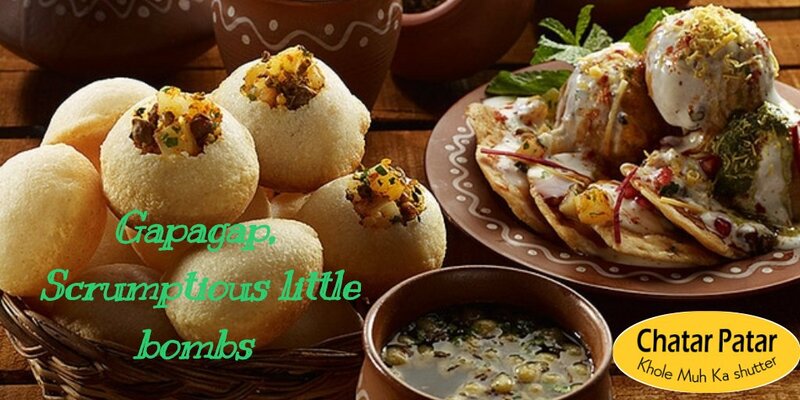 Gapagap is alternate name of Panipuri and the brand that offer franchise opportunity is Chatar patar foods Pvt. Ltd. Chatar Patar is supreme home of broad range varieties of snacks, combination of western style restaurants and Indian street food is highly appreciated by people. The brand offer matchless menu in form of chaats, bhels, panipuris, and other snacks. Gapagap franchise is one of the fast-growing and highly demand food franchise in India. As per recent reports, new mega stores open in Nepal and also in various Indian states. Currently, chatar patar offer amazing franchise business opportunities, in fact, there are various business models offer to potential entrepreneurs. If you’re interested in foodservice sector then there is none other brand better than chatar patar. Technology transform every sector, consumer has utilized online delivery effectively. Online application developed by chatar patar will provide more convenience to purchase delicious snacks in quick succession of time. • Fast-growing brand, great business opportunity to offer your customer varieties of snacks on reasonable prices.